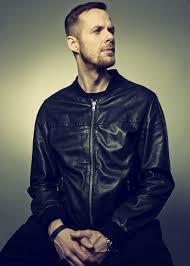 Adam Beyer – Drumcode Records and his music are synonymous with all that is exciting about electronic music today. Having emerged as the figure head of the hugely prolific Swedish techno scene, Beyer has now confirmed his position as a globally recognized DJ and producer, headlining the world’s finest events week-in-week-out. Adam Beyer uses social media to great effect, Facebook boasts over 650,000 followers, Twitter also has a total follower count of nearly 100,000 and attracting circa 500 new followers per day on his Facebook Page. His acclaimed Drumcode record label has been at the cutting edge of club music for well over a decade. Drumcode Records is a Swedish techno label founded and managed by Adam Beyer, the label has featured mostly Swedish producers. Having released its first record in 1996, Drumcode now has two sub labels, called Truesoul and Mad Eye. Drumcode celebrated their 100th standard release in 2012. Discontinued in 1999 after just ten releases, Drumcode also had a sub label named Code Red. Now Adam takes to the airwaves with a new weekly Phuket Radio show. Every Saturday from 11pm Phuket Island Radio 91.5 and 102.5 FM presents Adam Beyer – Drumcode featuring exclusive live performances, cutting edge studio mixes, artist profiles and previews of exciting material on the Drumcode labels. This show is a sure fire hit with electronic music fans not only here in Phuket but worldwide as fans tune into the 91.5 & 102.5 FM, online and on our mobile applications from iPhone and Android. Check out some of our other world class presenters and fantastic radio shows.